Amazon's line of Alexa-enabled products such as the popular Echo can go a long way in making our lives more convenient, but without a Wi-Fi connection, Alexa is essentially rendered useless. If your Alexa won't connect to Wi-Fi there could be one or more reasons for the problem. The troubleshooting tips below could help get your virtual assistant online and back in business. Sometimes the simplest solution is the correct one. Before assuming your Alexa-enabled device is the culprit, it's best to restart both your modem and wireless router to see if this fixes your connectivity issue. Reboot both devices manually, wait five minutes, then try to reconnect Alexa to your Wi-Fi network. Refer to your modem and/or router's manual if you're having trouble restarting either one. Just as we recommended restarting your modem and wireless router, occasionally a physical reboot of the Alexa-enabled device in question can do the trick. Simply power down your Echo or another Alexa-enabled device, turn it back on, then try connecting to Wi-Fi. 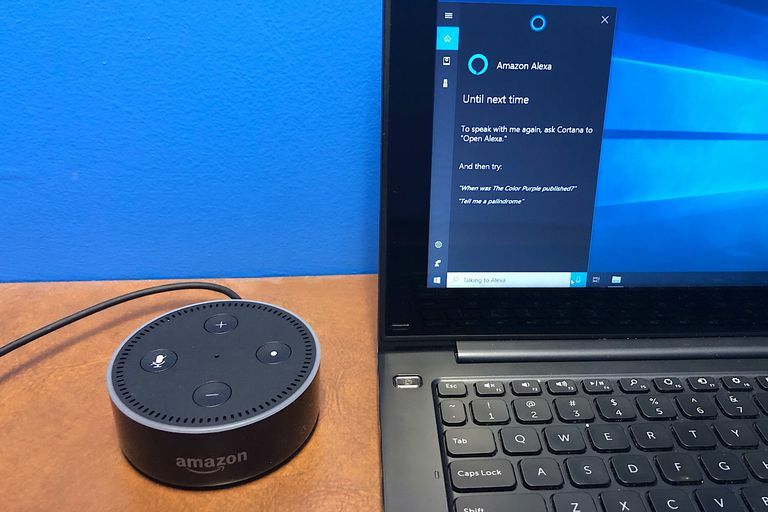 It's possible your Alexa-enabled device cannot connect to a Wi-Fi network simply because you're using the wrong password, a common problem that's often misdiagnosed because device error messages don't always explicitly state that authentication is failing. The easiest way to troubleshoot this is to try connecting a different device to the same network using the password in question, preferably a device that previously had no trouble connecting. If your other devices can see the Wi-Fi network, but can no longer connect to it using these credentials, chances are the password you're entering is invalid. As wireless technologies have grown, we often tend to take Wi-Fi signal strength for granted, thinking it can travel significant distances without degrading - especially within our own homes or workspaces. This isn't always the case, and sometimes your Alexa-enabled device can't connect to a Wi-Fi network because it's out of range. Relocating your device so it's closer to your wireless router can sometimes affect whether or not you can establish a reliable connection. Just as the distance between a wireless router and your Alexa-enabled device can be a factor when attempting to establish connectivity, it's also important to ensure your Wi-Fi signal remains unimpeded. Although rare, signal interference from devices such as baby monitors or other wireless electronics can occasionally prevent your Alexa-enabled device from making and maintaining the steady Wi-Fi connection it requires to function correctly. In addition to device-related interference, physical obstructions like thick walls and reinforced doors can also play a role in signal interference. Keep this in mind if your Alexa-enabled device cannot connect or remain connected to Wi-Fi. When all else fails, resetting your Alexa-enabled device to its default state can sometimes fix your Wi-Fi connectivity problems. First, locate the Reset button - a small hole found on the bottom or base of your device. With a paper clip or similar item, press and hold this button until the light ring on top of the Echo first turns orange, then eventually blue. Release the Reset button and watch as the light ring turns off and on, settling on the color orange. Your Echo is now back to its factory settings and is ready to begin setup via the Alexa app as if it was brand new out of the box. Follow the setup process and try connecting to your Wi-Fi network. First, locate the device's volume buttons. If your device doesn't have volume buttons, but rather has the volume ring on top, then you actually have a first-generation device and should follow the instructions above. Simultaneously press and hold both the Microphone Off and Volume Down buttons until the device's light ring turns orange for 15-20 seconds, then turns blue. Let go of the two buttons and watch as the light ring turns off and on, eventually settling on the color orange. Your Echo is now back to its factory settings and is ready to begin setup via the Alexa app, just like when it was brand new out of the box. Follow the setup process and try connecting to your Wi-Fi network. For all other Alexa-enabled devices, refer to your product manual for instructions on how to perform a hard reset. If you're still unable to connect after attempting the steps above, contact the device manufacturer and/or your internet service provider.